This weekend I’m going to spend 24hrs creating art and I want you to be part of it. At 10.00 on Saturday I’ll start at my home studio by drawing on the 20m roll of paper I have been given by Wickes (thank you!) Then along with my trusty sidekick Claire Westwood, we’ll travel into Park Street, Bristol to start inviting lovely folks to join in and lend a hand (literally!) at 12.00 I will be at nomad drawing whilst having part 2 of my rabies jabs!! Be interesting to see how that works out! 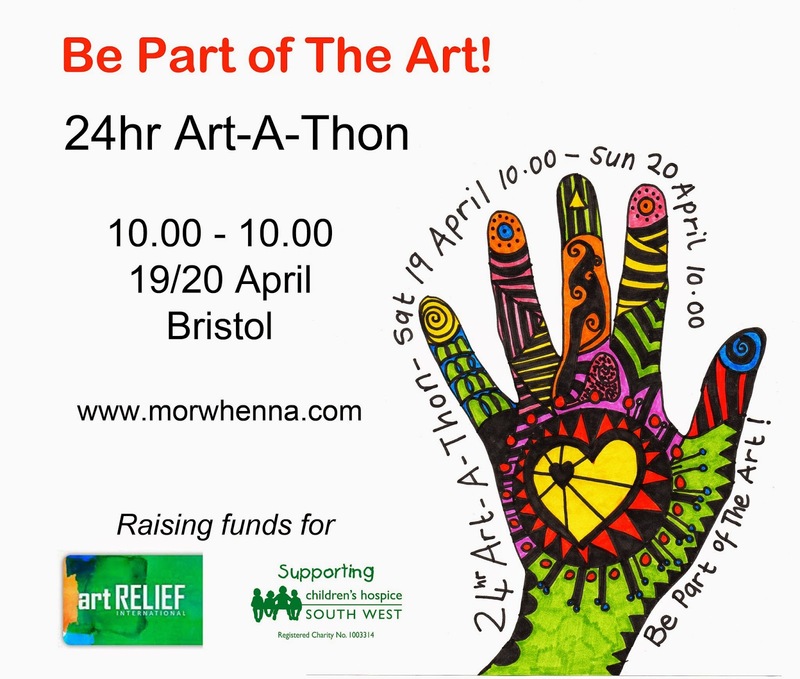 Then we’ll be ‘Out and About in Bristol’ inviting you to be Part of The Art! We are aiming to fill the whole 20m roll in 24hrs! At the end of the 24hrs there will be an opportunity to bid on and buy parts of the totally unique artwork! There could be some famous hands on there too!! oooooo-eeee! We are raising funds for Children’s Hospice Southwest and Art Relief International who I am volunteering with for 4 weeks in Chiang Mai, Thailand. I’ll be developing and running art workshops with socially excluded groups. All donations from this 24hr event will be split 50/50 between the two charities. Any artwork not sold will be split and half will go to the Children’s Hospice and I’ll take the other half with me to Art Relief International to use in an art workshop while I am there. 10.30 – REST! Followed by sleep...! This is a rough outline and I’ll add in more exact locations once they have been confirmed. So keep checking back for the latest news! ps. I can't remember the last time I actually stayed up for 24hrs!! eek! Here's a little film about getting things prepared for the Art-A-Thon and the room I'll be starting off in! 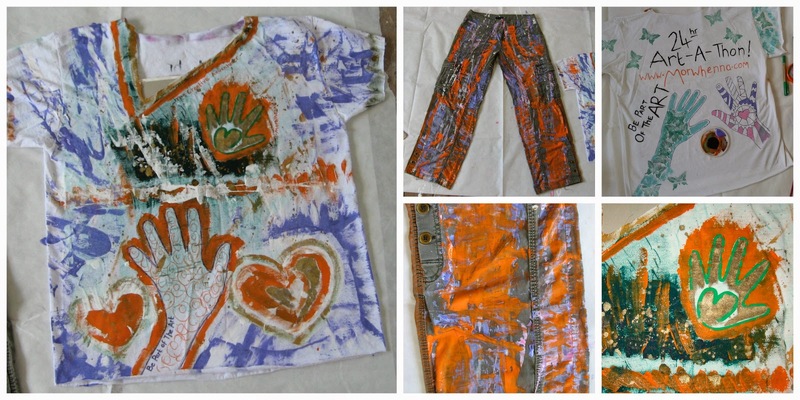 Creative Adventurer 24hr Art-A-Thon outfit nearly ready!